Is the Italian Greyhound right for you? Find your perfect match now! 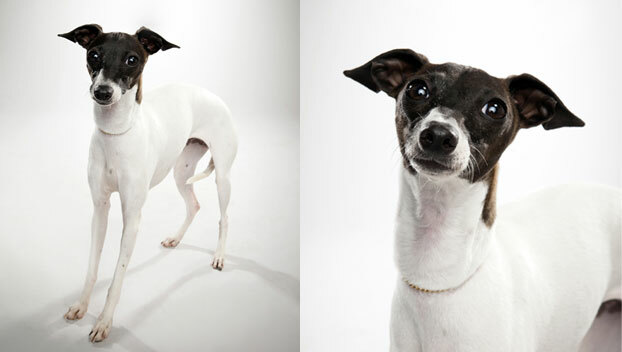 Don't let the name fool you — the Italian Greyhound is originally from Greece and Turkey. But Italian aristocrats loved these small, sweet dogs so much so that they came to symbolize wealth in many Renaissance paintings. 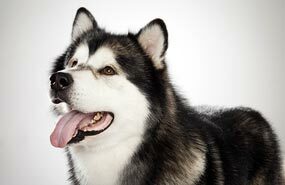 Today, this breed is still a cherished canine companion. An Italian Greyhound's absolute favorite place is on your lap. They can be somewhat catlike: they love to sunbathe, and many use litter boxes so they don't have to go outside in the cold or wet. If you've ever cuddled one of these snuggly pups, you might be surprised at how athletic they are. This breed is very fast. They can run up to 25 miles per hour — the average dog can only do about 19! They also have acute hearing and sight. This small-sized and medium-energy breed can grow to between 7-14 pounds and lives an average of 12-15 years. The breed is recognized by the American Kennel Club and classified as a member of the Toy group. WHAT IS AN ITALIAN GREYHOUND'S PERSONALITY LIKE? Italian Greyhounds are just so sweet and gentle. While they get along just fine with other dogs and pets, Italian Greyhounds are best matched with single folks or couples without kids. They can be cuddly to the point of clinginess and are fairly fragile. WHAT IS ITALIAN GREYHOUND BEHAVIOR LIKE? In her heart, the Italian Greyhound is a sprinter. It's important to let this dog run while she's still little — if this breed doesn't run and jump while they're puppies, their bones can be fragile in adulthood. HOW EASY IS IT TO TRAIN AN ITALIAN GREYHOUND? 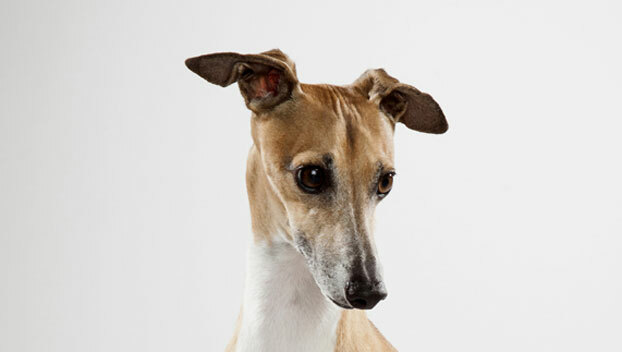 Italian Greyhounds learn as fast as they run, but you'll have to work to keep her attention. These are sensitive souls, so be gentle while you're training. Some are slow to house train. They respond well to play or food treats. Start early and be patient and consistent with your pup. Socialization with children and other dogs while they're still puppies is important to discourage shyness. Their prey drive makes Italian Greyhounds poor candidates for off leash play outside well-fenced areas. HOW MUCH DO ITALIAN GREYHOUNDS SHED AND WHAT ARE THEIR GROOMING NEEDS? 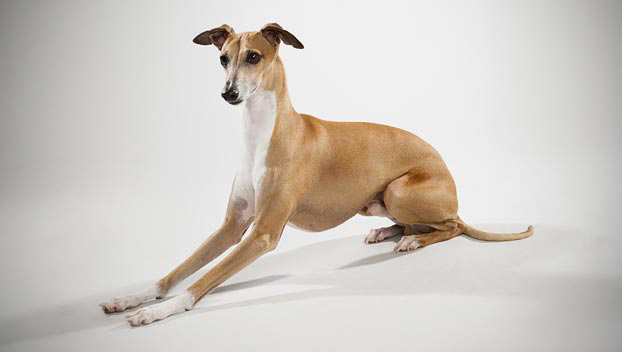 An Italian Greyhound's single coat is short, close, and smooth. They don't shed much and they don't smell doggy. While they're very easy to groom, be sure to get your thin-skinned friend a coat (or four) for chilly weather! WHAT HEALTH PROBLEMS DO ITALIAN GREYHOUNDS HAVE? 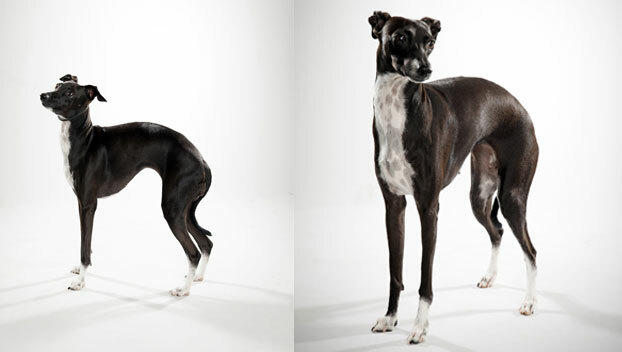 Italian Greyhounds are an especially healthy breed. They can have delicate bones and thin skin, however. Discourage rough play and high jumping for their first year. Puppies will need crating while you're out of the house. As with other Toy breeds, it's important to feed young Italian Greyhounds often to prevent hypoglycemia. ARE ITALIAN GREYHOUNDS GOOD FOR PEOPLE WITH ALLERGIES? The American Kennel Club doesn't list Italian Greyhounds among its breeds recommended for allergy sufferers. You can reduce your furry friend's impact on your allergies with frequent baths and brushings to reduce loose hairs and allergy-aggravating proteins in your pet's dander. Use a damp cloth to wipe off your dog after playing outside. Smaller dogs have less surface area, so they produce comparatively less dander than larger breeds — definitely something to keep in mind with a dog as small as an Italian Greyhound! Remember that no breed is 100% hypoallergenic, and any breed can aggravate allergies. WHAT IS AN ITALIAN GREYHOUND'S BEST DAY? Like the song says: your Italian Greyhound only wants to be with you, as long as you are an adult who likes to cuddle small, speedy canines. If it's too wet or too cold, your skinny, shivery friend will want to stay inside where it's warm and dry. But the most important thing is that you're there to keep her company. SHOULD I ADOPT AN ITALIAN GREYHOUND? Your Italian Greyhound will need a coat or sweater and booties when it's cold out, and they do well in warm weather. This is a great dog for folks who work from home and want their furry friend with them all the time. 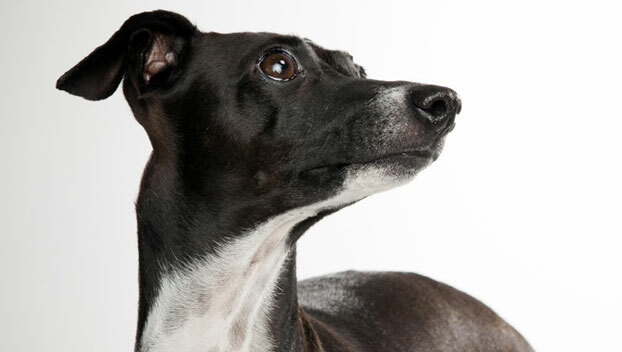 Have you decided that an Italian Greyhound is the perfect dog for you? Why not be your new best friend's hero and adopt a rescue! Be sure to check out our article on what to expect when you're adopting a dog or cat.